The exact origins of Strawberry cough are unclear, however, the fruity Haze and Skunk undertones do offer clues to its parentage. 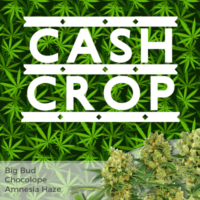 A great choice for all growers, regardless of experience or preferred cultivation methods, growing well both indoors and outside. The plants are bushy, growing to an average height, with total harvests improved with the use of super-cropping techniques. Although Strawberry Cough requires little care, pruning, topping and super-cropping techniques can all enhance the final yield. Grown indoors in either a Sea-of-Green or Screen-of-Green set-up, harvest of 400 grams per square meter can be produced, while outdoor plants can generate up to 14 ounces grown over an entire season. Complete maturity requires between 9 – 10 weeks when cultivated indoors, while outdoor growers will need to wait until the middle of October to harvest their plants. 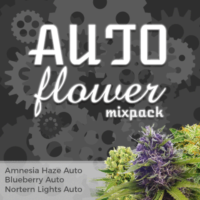 Good quality buds can easily be produced by both experienced and inexperienced growers alike. We sell the very best Strawberry Cough marijuana seeds, all completely feminized, creating a pure female plant from every seed. Guaranteed, stealth delivery to all parts of the USA is included in the price, with a selection of pack sizes and payment options. 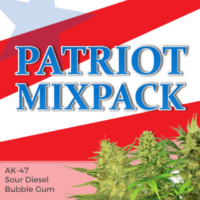 Popular medical marijuana strain with a creative high and sweet, fruity flavor. Enjoy an active and sociable high, leaving the user feeling alert and creative, without the usual Indica ‘couch-locking’ effects. 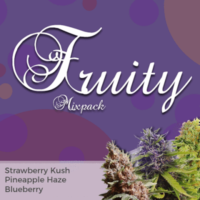 Comprising of 80% Indica and 20% Sativa genes, the plants are easy to grow, producing good yields with an unmistakable aroma and flavor of fresh strawberries. With a CBD content of 0.2 Strawberry Cough is enjoyed by many medical marijuana patients. Its 18% THC levels produce a relaxed and calming sensation, relieving stress, tension and anxiety.